British conductor Sir Roger Norrington suggests that orchestras perform pieces as closely to the original performances as possible. While visiting Canada, he walked the Royal Conservatory Orchestra through Brahm’s First Sympony. Then he stopped and addressed the players: “It sounds glorious, doesn’t it? But it isn’t what Brahms had in mind.’” And with those words he picked up his baton and directed the players to start again. Only this time, he had the strings play without vibrato (making the pitch fluctuate marginally through pressure from the fingers of the left hand on the strings), and the whole orchestra play at a considerably faster tempo. The character of the music suddenly changed. The Isreal Philharmonic Orchestra has joined a suit filed by the National Library against collector Meir Biezunski who allegedly stole hundreds of documents from their archives. The affair began in 2008, when a collector alerted the National Library that a manuscript by the Swiss composer Arthur Honegger he had bought from Biezunski clearly belonged to the library. The library filed a police complaint, saying Biezunski stole hundreds of extremely valuable documents from its archives. In a raid on his home, police found hundreds of items allegedly stolen from the library, the IPO, the JNF and the state archives. A recent study found students that heard classical music during a lecture outperformed their peers when tested. Rob Ford: First the ballet, now the opera? 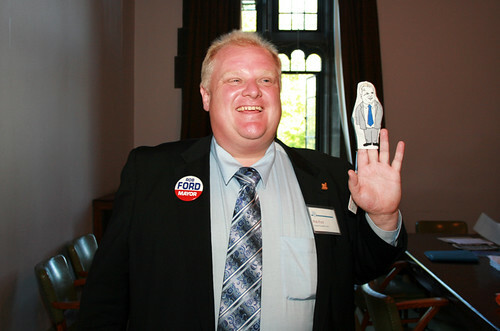 Michael Patrick Albano, the University of Toronto’s resident stage director, has created an absurdist Opera in which Toronto’s mayor, Rob Ford, is the title character.